One of the most asked questions in Fall Arrest Training is, "Do my fall arrest harness straps need to be tight?". Yes, it is extremely important that your harness straps be tight and your harness fit properly. A degloving injury is one type of injury that can result from improper fitting of a fall arrest harness. Which is an extremely painful injury. How do you know if your harness leg straps are fitted properly? One method is the Hand/Fist Test. 1. Make your hand flat. 2. Insert your hand between your leg and the leg strap until the strap is across your wrist. 3. Make your hand into a fist. 4. Try to pull your fist in between the leg strap and your leg. Did fist make it through? If so your leg straps need to be tightened until you cannot pull your fist out. If you weren’t able to complete step 2 above then your leg straps are actually too tight. As you may know, properly fitting the full body harness leg straps is just one small part of using fall arrest equipment. Attached is our recently completed Safety Training Brochure. This brochure contains information on safety training courses for the construction, mining and emergency responder industries. Northern Strands is excited to announce the release of our Mining Wire Rope Catalogue! Our catalogue contains detailed info on numerous types of mining ropes including hoisting, surface mining, balance and guide ropes. Plus, our catalogue offers descriptions of mining wire rope applications and features to help you pick the best wire rope for the job. It also informs the public of the top brands Northern Strands carries in wire rope lubricants, attachments and liners. 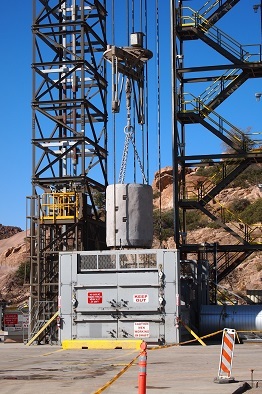 Recently Northern Strands has become the North American supplier for Becorit hoist drum liners and the Canadian supplier for Corelube wire rope lubrication products. Below is a downloadable PDF of our Mining Wire Rope Catalogue. The above PDF is a convenient email size, but is not a high resolution printable version. Email info@northernstrands.com to request a quality printed copy of our Mining Wire Rope Catalogue. 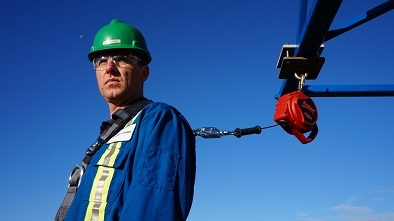 Watch for our Mining Wire Rope Attachments Catalogue that will be released in the near future.